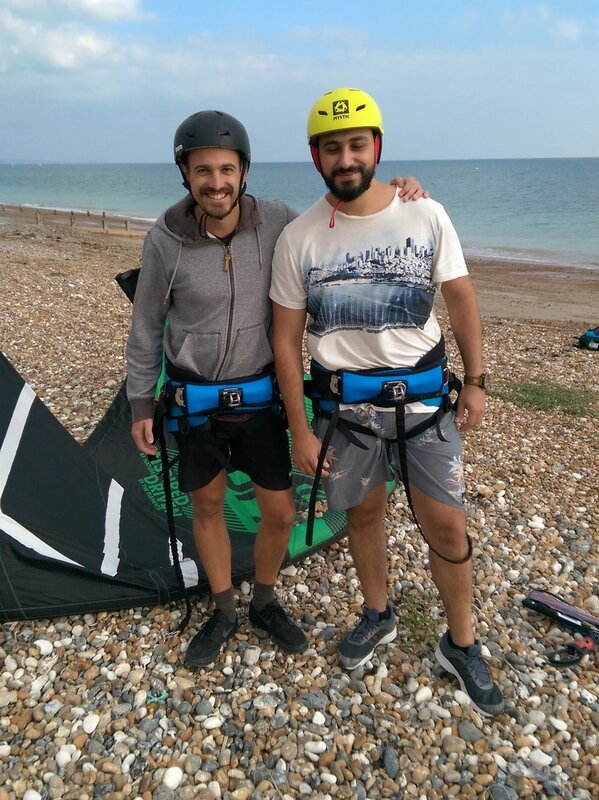 Kitesurfing Lessons Brighton | Online Store | The KiTE, SURF & SUP Co.
We started teaching Kitesurfing Lessons Near Brighton and running our online store in April 2014. In July 2016 we were awarded British Kitesports Recognised School status, the highest level a kite school can reach. Founder Christine Johnston has a background in Olympic and Formula windsurf racing, attending the Sydney 2000 Olympics, and winning the Formula World Windsurfing Championships in 2003. Christine finished training as a British Kitesports Association kitesurf instructor in June 2012 and spent her first few seasons as a kitesurf instructor working at Brighton Kitesurf Academy and BN1 Kitesurfing on Lancing Beach in Sussex, Kite Republic in Melbourne, Australia and most recently (winter 2014/2015) at Windchasers in Langebaan, South Africa. This has given Christine a broad range of teaching experience in a variety of conditions. Our online store is chock full of the power kites, kitesurf kites, kitesurf boards, wake boots, wetsuits, harnesses, impact vests and stand up paddle boards. If you take lessons with us we have an unbeatable offer on your first set of equipment, see below. We know that you can find the best prices on the web for equipment at the click of a button so we guarantee that we won't be beaten on price! This video is about Kite Water Relaunch. Kitesurfing Lesson Level 1 Lesson 3rd August 2014. Student: Simon Maher. Instructor: The KiTE, SURF & SUP Co. Christine Johnston. Equipment: Flexifoil Shiva 9.0m. Learn how to kitesurf in three simple steps! In LESSON 1 learn about the kite and how to fly it. In LESSON 2 learn about the board and how to get up on it. In LESSON 3 learn how to travel in both directions and turn around. We won't abandon you after you've finished Lesson 3, we'll add you to The KiTE, SURF & SUP Co. Group for Independent kiters so you can stay in touch about when other kiters will be kiting at East Worthing. Or you might decide that you want to keep progressing by taking a PROGRESSION or ADVANCED lesson with us. Ready to book? Go straight to the BOOKINGS page. = £1793.95 and you get your Level 1 and 2 group lessons for FREE! (value £140.00 (group) or £180.00 (1:1)). Alternatively pay for your lessons up front and then take the value of your first two lessons off your kitesurfing package, e.g. Basically you learn for FREE!